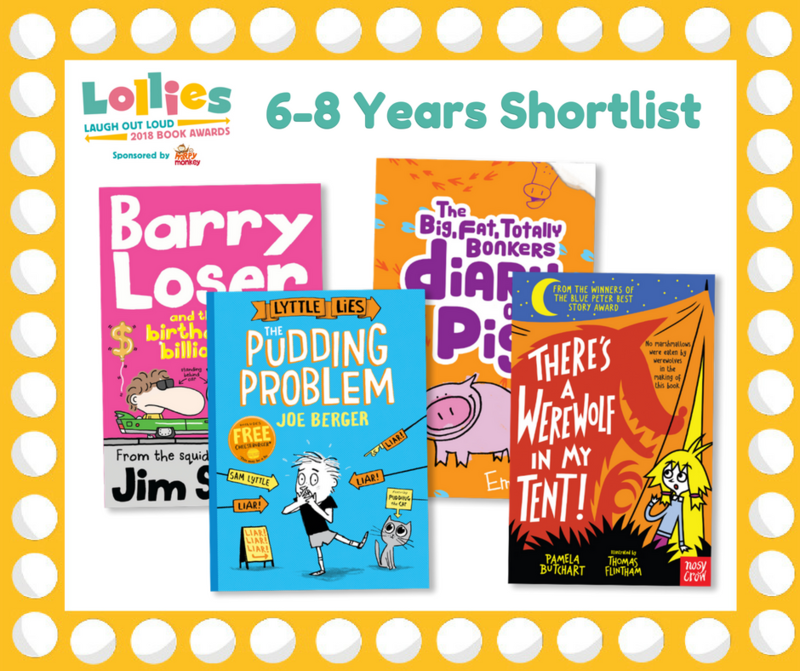 Welcome to my stop on the LOLLIES (The Laugh Out Loud Book Awards) blog tour and my book shortlisted in the 6-8 years category, The Big, Fat, Totally Bonkers Diary of Pig, written and illustrated by Emer Stamp and published by Scholastic. We are on book number 4 of this 100% totally bonkers series of diaries of Pig and things are no less madcap here. The evil chickens are back (from outer space believe it or not) and determined to seek revenge on Pig once and for all. With the help of a rather mysterious and militant dog named Rusty and Pig’s trusty sidekick Duck, Pig takes on those chickens once more . Written in a diary style from Pig’s point of view, this book is a brilliantly written and hilarious funny story packed full of mystery and adventure, making it a fantastic entertaining read for children in this age category. The diary format allows children to identify with Pig’s character and the writing is completely charming here. It also makes the book accessible for younger children with the blocks of text being a little more broken up and less daunting. The line drawn illustrations are clean and simple and help to break up the text more and also help tell the story and emphasise the jokes in here. It’s a brilliant book, the setting is perfect for lots of silly jokes. There’s no way you can’t laugh at evil chickens, a military dog and a Pig with a west country accent!! There are plays on words, silly puns and toilet humour aplenty here. The story is madcap, the characters are crazy and all of it brilliant. A perfect book recipe for a perfect LOLLIES nomination. We get requests for the Diary of a Pig books regularly and it’s very clear to see why. I really love this style of children’s book, perfectly written and published with the child in mind, pure unadulterated fun! I’m absolutely thrilled to welcome onto the blog today Emer Stamp, who answered a few probing questions! 1. 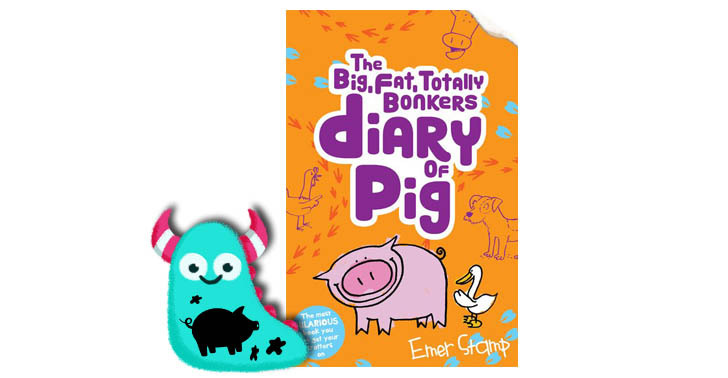 Emer, We at Book Monsters HQ, and all at the children’s library love your diaries, what inspired you to choose to write the curly tales of a pig and his farmyard based friends? Hi Book Monster HQ, I am so pleased to hear that you have been enjoying Pig’s adventures. Pig and all his friends are based on animals that I grew up with on my parents’ farm in Devon. We had a pig called Salt Pork (named after a kind of cured bacon). We all knew what he was being breed for but, of course, he had no idea. One day I got to wondering, what if he’d figured it out, or if a friend had informed him of his fate, what would have happened then? That was the spark that ignited the series. 2. Your Pig books are a brilliant combination of adventure and mystery tales (with added comedy value). 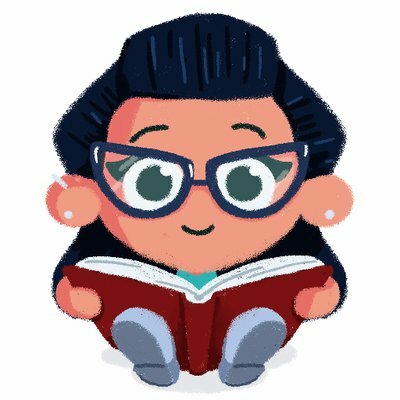 How do you go about planning your stories and illustrations? My writing process is part careful planning and part free-fall madness. I start by working out what Pig’s big problem or dilemma is going to be. In the Big, Big Fat, Totally Bonkers Diary of Pig I wanted to create a ‘Fugitive’ style story. So I needed to get him accused of a crime, then I needed to get him taken away, and finally I needed to find a way for him to escape. I spent about a month working out all the finer details of this plot and then I shared it with my editor. Once she was happy with it, I started writing. This is how it worked on all four of the books. The funny stuff comes out when I start to write. I have, according to my husband, the worst sense of humour. I love puns and funny acronyms – I’m sure you can see that from my work. It’s only once the story is 100% approved that I start drawing. Occasionally I will draw something that will make me go back and change the story, but generally the pictures are lead by what I’ve written. 3. What made you choose to write the Pig Diaries as a diary over standard story format? The honest truth is that when I started writing the book, it’s just how the story came out. I wrote ‘Day 1’ and off I went. In retrospect, I think it’s a nice way of quickly getting the reader inside Pig’s head. I also really like the idea that his diary is real and something the reader is encouraged to find. 4. Evil chickens? Floral farts, a tongue tied cow and lots more craziness, perfect for children. Where do you get your ideas from? I’m not 100% sure. A lot of stuff comes to me as I’m falling asleep, or when I get up for my 6am wee. I have a pretty bonkers imagination. I think I inherited this from my Mum. She was always making up stories about the animals on our farm. She had funny words and phrases for all their behavior. I am pretty sure this is where it all stems from. 5. The Big, Fat, Totally Bonkers Diary of Pig is your fourth book in the series, all of which are hilarious and brilliant. Has Pig hung up his curly tail for good, or can you give us any cheeky hints at what else we can expect? Right now, there are no more Pig stories in the pipeline. But the books have been optioned for a TV series. So hopefully, one day, he will grace our screens – that would make me (and Pig) very happy. However, though Pig may have put his pen away, I most definitely haven’t. I have a picture book coming out in the spring and a whole new series (this time about a mouse) due out next summer. So keep your eyes peeled! 6. And finally, what things make you most turnip? Chocolate biscuits, cups of tea, my family, sunshine, writing, and (shhhh, please don’t tell anyone) drinking sparkling water and burping, loudly. Thank you so much Emer for taking the time to answer these questions. 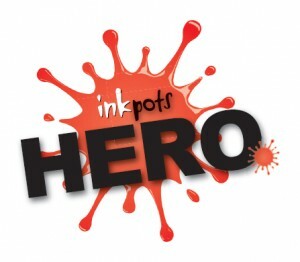 We are very excited at the thought of a possible TV series and even more excited at more new series of books to read. Don’t forget to check out the other stops on the LOLLIES blog tour. 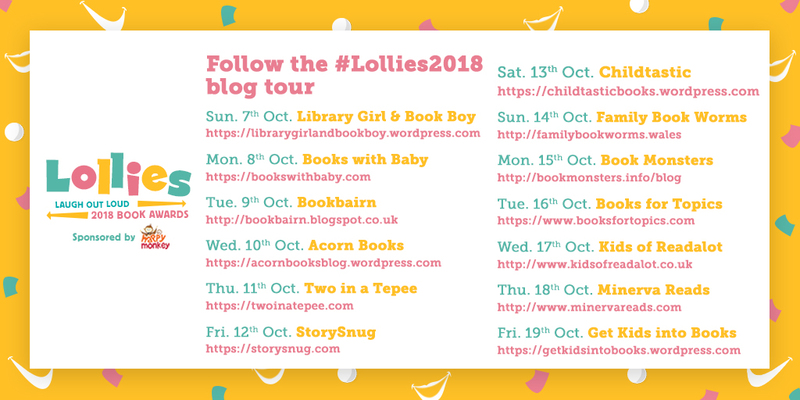 Thanks to Scholastic for inviting me to be part of the blog tour and to you for reading this laugh out loud Book Monster review.